This Nash sign is similar to some of the others on our website. These signs are so similar, but yet they each bring dramatically different prices. 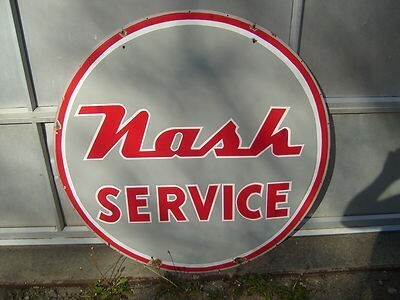 This 42″ sign has text that reads “Nash Service” and is done in red, grey, and white colors.